With increasing competition, an Engineering & Construction organization needs continued improvement of skills and knowledge of their workforce at par with the international industry practice. At Protrain we have industry experts provide the classroom training supported by e-learning tool. We are currently providing trainings on the following knowledge areas. Such programs can be customized to suit your organizational requirements. 1. Project management training - aligned to Project Management Body of Knowledge (PMBOK)® issued by Project Management Institute (PMI) ®. Useful for those appearing for Project Management professional (PMP) certification. 2. Cost engineering/Estimation/Control - aligned to Total Cost Management (TCM) framework issued by a AACE International. Useful for those appearing for Certified Cost Professional (CCP) certification offered by AACE International. 4. Project performance benchmarking, measurement and reporting using Earned Value - aligned to ANSI EIA 748 Earned Value Management. 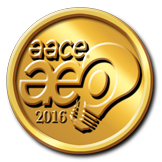 Useful for those appearing for Earned Value Professional (EVP) certification offered by AACE International. 5. Construction Contract Management their formation and administration – aligned to international contract from viz. FIDIC, NEC and AIA. 7. Delay Analysis and Extension of Time (EOT) claim writing and review.